"Extra-virgin" and "virgin" olive oils are processed by crushing olives and pressed to extract the oil (often called the first press) without the use of heat (called cold pressing). Extra-virgin olive oils are of higher quality, as the olives used to make them are processed within 24 hours of picking and they are also rich in polyphenols which prevents the risk of cardiovascular diseases. The "pomace" variety of olive oil comes with neutral taste and flavor and this oil is ideal for cooking all types and varieties of Indian dishes. It neither changes the taste, nor presents any difficulties while cooking. Olive pomace oil is also suitable for deep frying and the food tastes as good as it does when prepared with any conventional oil. "Unfiltered" olive oils have tiny particles of olive flesh that may make the oil appear cloudy and may have lower shelf life! 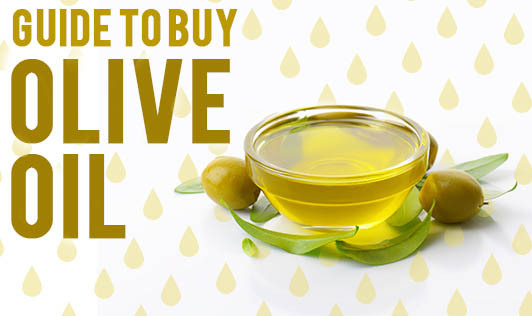 "Pure" olive oil or simply olive oil are below the extra virgin and virgin standards and are heavily processed, which makes them deficient in healthful polyphenols, though they still contain monounsaturated fats. These heavily processed oils are free from any typical olive aroma and flavor. "Light," "lite" and "extra-light" are pure marketing gimmicks to promote highly refined oils that refer to mild flavor and/or color and not reduced calorie content. A few olive oil brands also come with a tag" Product of Italy" which means the oil was processed in Italy and not necessarily the olives were grown there. Olives grown in Italy, California or Greece have a distinct flavor and are often more expensive than the usual olive oil. Remember, olive oil is at its nutritional best if consumed without heating. Heating oil till it starts letting out smoke (smoking point of oil) will break fat bonds, create harmful substances and destroy the goodness of olive oil.